Combine vinegar, mustard, honey, salt and pepper in a shaker jar. Add oil; shake until blended. 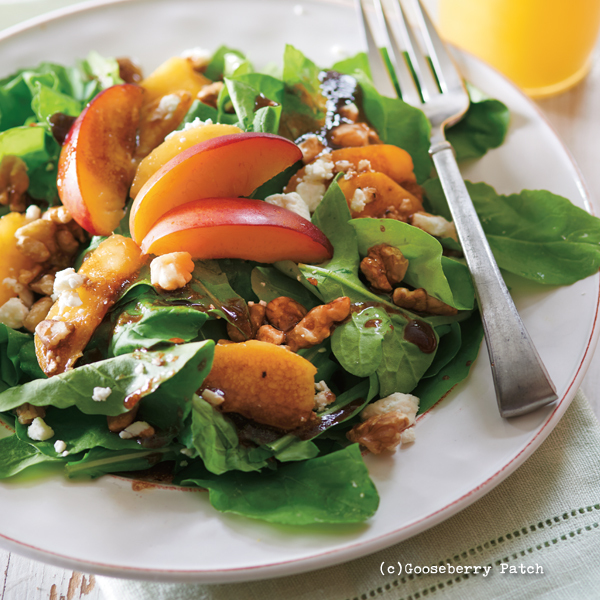 Divide arugula among 4 salad plates; arrange nectarine slices over arugula. Sprinkle with walnuts and cheese; drizzle with salad dressing. Makes 4 servings. Enjoy this recipe from Delicious Recipes for Diabetics originally published 12/1/2017.